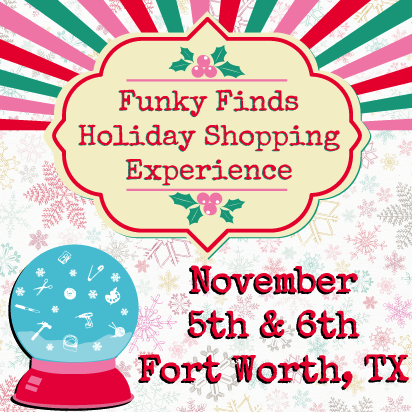 Funky Finds: Vendor Apps Now Open! The Funky Finds Holiday Shopping Experience is a FREE 2-day indoor family AND pet-friendly handmade shopping event! Held in the newly renovated Cattle Barn 2!!!! Bring the family and be a part of the funky fun featuring over 100 Artists, Crafters, Designers, Authors & Gourmet Food Makers selling their unique hand-crafted items! Attend Both Days...it's that FUNKY! * Toys For Tots Drop Off - FREE raffle ticket with each donation!